Data derived from epidemiological and experimental studies suggest that alphalinolenic acid (ALA; 18:3n-3), the main ϖ-3 polyunsaturated fatty acid (PUFA) present in the Western diet, may have protective effects in breast cancer risk and metastatic progression. A recent pilot clinical trial assessing the effects of ALA-rich dietary flaxseed on tumor biological markers in postmenopausal patients with primary breast cancer demonstrated significant reductions in tumor growth and in HER2 (erbB-2) oncogene expression. 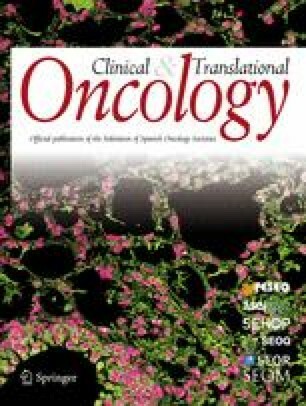 The molecular mechanism by which ALA inhibits breast cancer cell growth and metastasis formation may involve a direct regulation of HER2, a well-characterized oncogene playing a key role in the etiology, progression and response to some chemo- and endocrine therapies in approximately 20% of breast carcinomas. Using HER2-specific ELISA, flow cytometry, immunofluorescence microscopy, Western blotting, RT-PCR and HER2 promoter-reporter analyses, we characterized the effects of exogenous supplementation with ALA on the expression of HER2 oncogene, a master key player in the onset and metastasis formation of breast cancer disease. Metabolic status (MTT) assays were performed to evaluate the nature of the cytotoxic interaction between ALA and the humanized anti-HER2 monoclonal antibody trastuzumab (Herceptin®). To study these issues we used BT-474 and SKBr-3 breast cancer cells, which naturally exhibit amplification of the HER2 oncogene. ALA treatment dramatically suppressed the expression of HER2-coded p185Her-2/neu oncoprotein as determined by ELISA, flow cytometry, immunofluorescence microscopy and immunoblotting techniques. Interestingly, ALA-induced down-regulation of p185Her-2/neu correlated with a transciptional response as no HER2 mRNA signal could be detected by RT-PCR upon treatment with optimal concentrations of ALA (up to 20 μM). Consistent with these findings, ALA exposure was found to dramatically repress the activity of a Luciferase reporter gene driven by the HER2 promoter. Moreover, the nature of the cytotoxic interaction between ALA and trastuzumab (Herceptin®) revealed a significant synergism as assessed by MTT-based cell viability assays. i) These findigns reveal that the ω-3 PUFA ALA suppresses overexpression of HER2 oncogene at the transcriptional level, which, in turn, interacts synergistically with anti-HER2 trastuzumab-based immunotherapy.ii) Our results molecularly support a recent randomized double-blind placebo-controlled clinical trial suggesting that ALA may be a potential dietary alternative or adjunct to currently used drugs in the management of HER2-positive breast carcinomas.iii) Considering our previous findings demonstrating the «HER2 upregulatory actions» of the ω-6 PUFA linolenic acid (LA; 18:2n-6) and the «HER2 down-regulatory actions» of the ω-3 PUFA docosahexaenoic acid (DHA; 22:6n-3) and of the ω-9 monounsaturated fatty acid oleic acid (OA; 18:1n-9), it is reasonable to suggest that a low ω-6/ω-3 PUFA ratio and elevated MUFA levels, the two prominent «fat features» of the «Mediterranean diet», should be extremely efficient at blocking HER2 expression in breast cancer cells. This work was supported in part by the Instituto de Salud Carlos III (Ministerio de Sanidad y Consumo, Fondo de Investigación Sanitaria), Spain (Grant CP05-00090) to JAM and by the NIH grant awarded to RL (Grant 5R01CA116623).